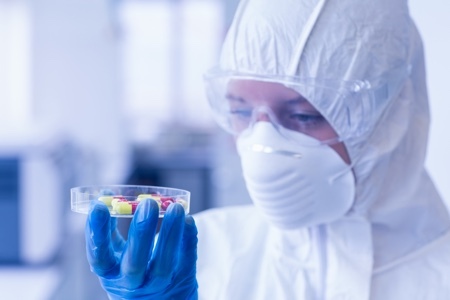 With the motto “Experience science through commercialisation”, the International Pharmaceutical Expo, Interphex, returns this year bigger than ever. 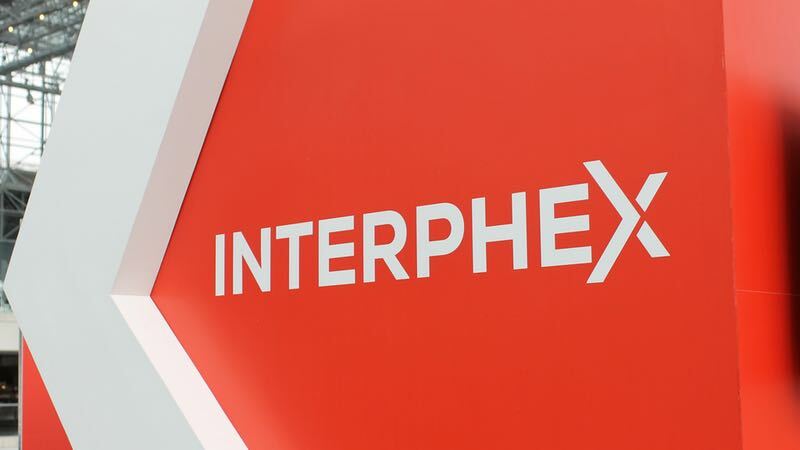 Held at the Javits Center in New York (US) from 17-19 April, Interphex 2018 will bring at least 10,000 global industry professionals together with more than 600 suppliers. Organisers have said at least 150 companies have chosen the event to launch state-of-the-art technologies, products and services. Contec has announced a handful of product launches to the US market, including its latest compact bucket system. The cleaning specialist will also showcase the expanded VertiKlean MAX Sealed Edge Mop range (pictured right) and the novel “trigger-in” low endotoxin IPA with WFI. Autoclavable, the Compact Bucket System is an all-in-one solution to make cleaning and disinfecting easier and more efficient. 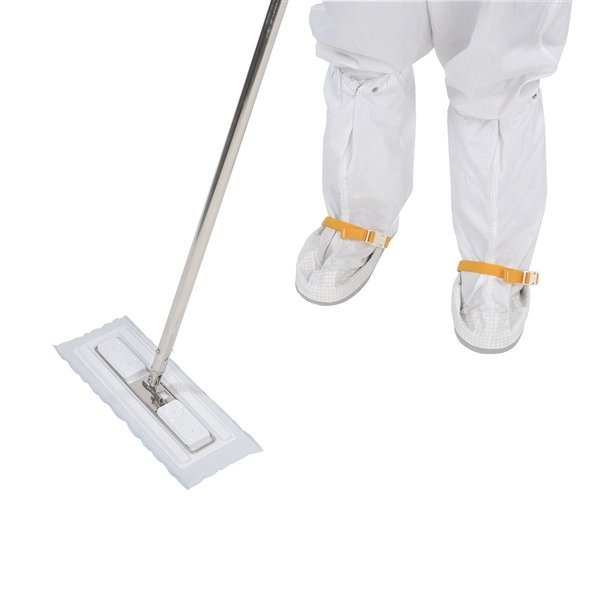 The VertiKlean MAX Sealed Edge Mop range is designed for applying disinfectants to both horizontal and vertical surfaces. Durable and lightweight, the mop features thermally sealed edges and a polyester microfiber face. Finally, the Contec Irradiated 70% IPA LE contains 70% by volume USP grade isopropanol (IPA) and 30% water for injection. A certified low endotoxin limit of < 0.25 EU/ml makes it suitable for product contact surfaces. Merck will showcase three new products. The new Pellicon Capsule with Ultracel Membrane is a first-of-its-kind single-use tangential flow filtration device used for bioprocessing of antibody-drug conjugates and monoclonal antibodies. 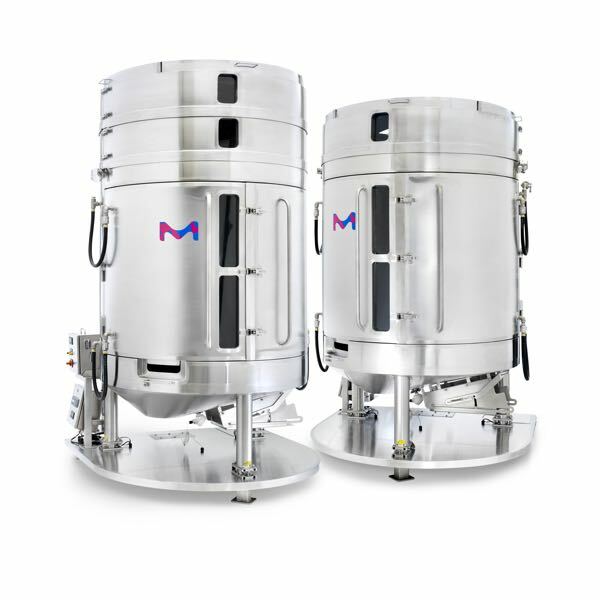 The Millipak Final Fill Filter provides maximum product yield in high-value, small-volume processing, and the Mobius Power MIX 2,500-Litre and 3,000-Litre large-scale single-use mixers (pictured right), combine high-performance technology with design elements that make them easy to use when mixing the most challenging buffers, media and biopharmaceutical ingredients. 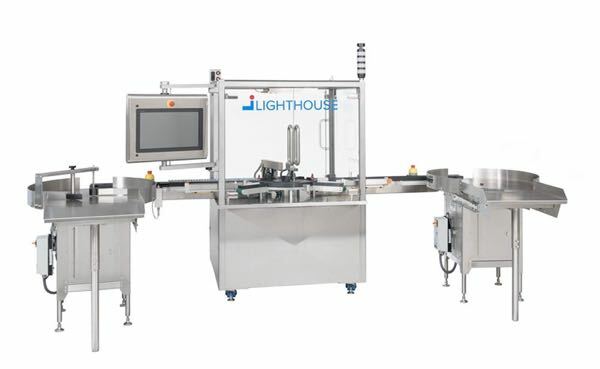 Lighthouse will bring to Interphex laboratory instruments and fully automated systems for monitoring headspace oxygen, moisture, pressure and carbon dioxide levels in sealed parenteral containers. The lineup supports product, package and process development efforts as well as testing in support of QC stability protocols. The Pulsar Headspace Inspection System (pictured right) uses a patented laser-based detection method developed with funding from the Food and Drug Administration. Light from a near-infrared laser is passed through a container in the region above the product and below the cap (headspace region). 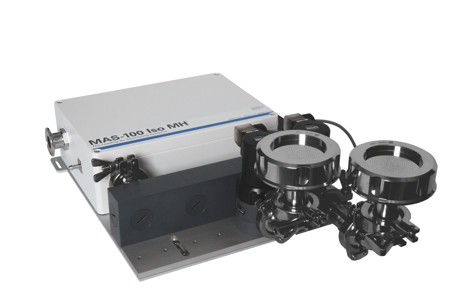 Diode laser sensors are designed to monitor the absorption wavelength of the target headspace molecules to determine headspace concentrations. Vials that do not meet the specified headspace conditions can then be identified and rejected. 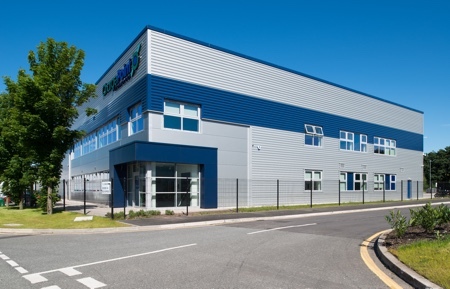 Mecart, the modular cleanroom specialist, is set to showcase a range of design and construction solutions. The Canadian manufacturer has developed a 100% self-supported, walkable ceiling (pictured right). 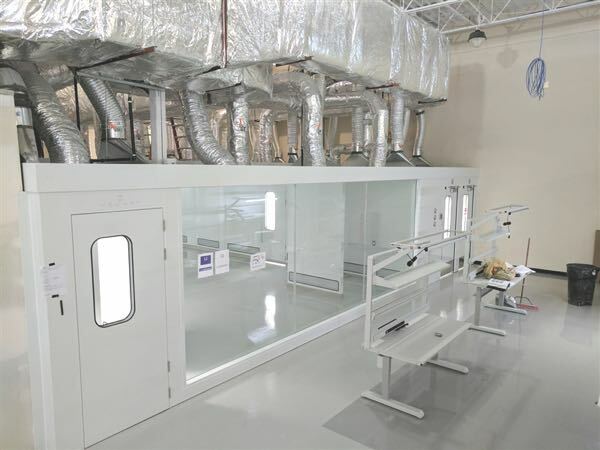 Featuring a 4" panel width (wall and ceiling), Mecart’s modular cleanrooms have structure and strength not found anywhere else, the company claims. Rooms are entirely freestanding with zero contact with the customers’ existing building or shell. Mecart’s heavy duty structural 100% prefabricated panels include pre-wired outlets, lighting, and integrated utilities. 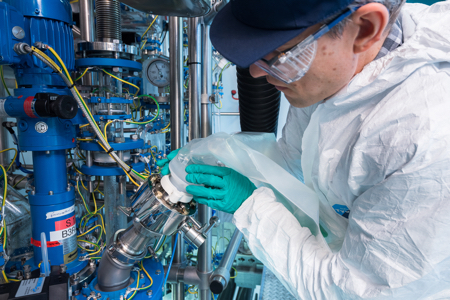 Ecolab Life Sciences will bring its Total Plant Solutions offering, a comprehensive approach to cleaning and disinfection for pharmaceutical manufacturers. It includes cleaning and disinfection programmes and validation support, technical lab support, regulatory and scientific insights, site surveys and customer training. The SteriShield Delivery System (SDS) is a critical part of Ecolab’s display. SDS is a patented and validated trigger spray system designed to deliver benefits of key cleaning and disinfection criteria by preserving the integrity of the product, minimising risk to operators, fulfilling regulatory requirements and providing a cost-effective solution. The SDS has been adopted by major pharmaceutical manufacturers in Asia and Europe and now is available in the United States. 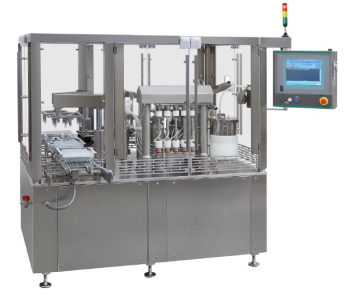 NJM Packaging, a ProMach product brand, will introduced the Dara SX-310-RDL (pictured right), an aseptic filling and closing machine for sterilised vials with RayDyLyo caps. The system eliminates the crimping required with traditional aluminium closures to simplify the packaging operation and speed throughput, while offering fast and easy changeovers and new container size set-ups in the future. The unit features fully servo-driven automation, linear and intermittent-motion. Dara SX-310-RDL is 100 inches (254 cm) long and 32 inches (82 cm) wide, and can be equipped with a laminar air flow (LAF), open or closed restricted access barrier system (oRABS/cRABS) or a high containment isolator system for sterile or cleanroom applications. 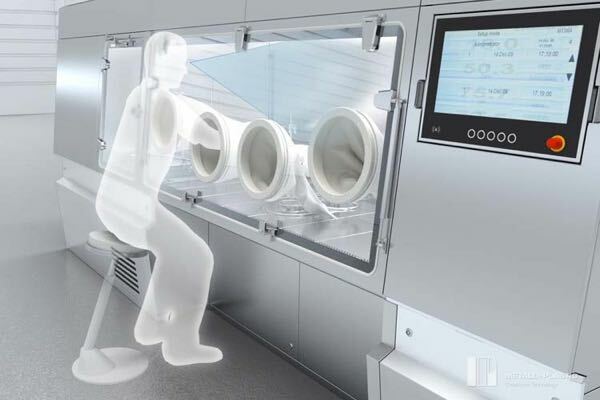 Steris Life Sciences, the global solutions provider of sterilisation and contamination control, has recently expanded its line of pharmaceutical-grade washing systems with Reliance 280PG (pictured right), an advanced high-performance pharmaceutical grade washer that is said to maximise productivity while minimising operation costs. 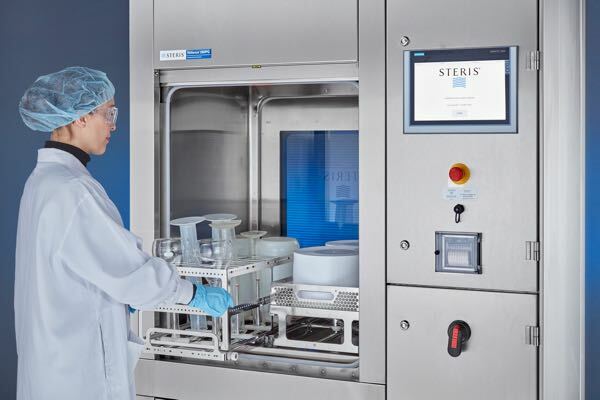 Steris will also showcase recently launched products including the VHP X10 Biodecontamination Unit, designed for mobile decontamination of clean, dry, sealed Class II Type A2 biological safety cabinets and other small enclosures; the VHP DC-A atmospheric pass-through chambers for material transfer, designed for use in aseptic drug manufacturing and laboratory research facilities; and the AMSCO 430LS and 630LS medium steam sterilisers, to name a few. 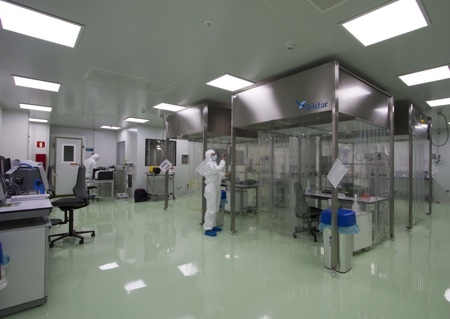 Metall+Plastics, a brand of the German group Optima, is to unveil Stiso (pictured right), its new sterility test isolator. The unit uses catalytically air circulation and the new DECOjet technology to achieve short cycle times during decontamination. 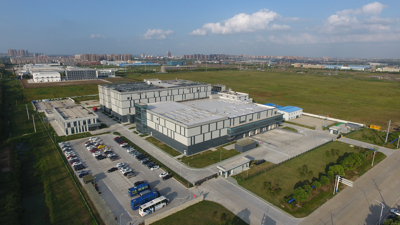 The manufacturer said Stiso is low maintenance thanks to the H2O2 flash evaporation. It is available for aseptic and aseptic-toxic applications. The new GFD (pictured left) is a bench top Nutsche filter dryer from Powder Systems Limited, PSL. It is designed to efficiently performs laboratory process development. The GFD is a miniature version of a production filter dryer, allowing scalable lab filtration, washing and drying with the same reliability and benefits as PSL’s full size Agitated Nutsche Filter Dryers. PSL says its technology supersedes dated methods such as Buchner filtration for feasibility study, R&D work and process development. 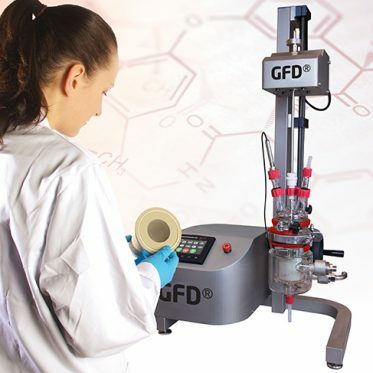 The GFD works under vacuum and low pressure, has a heated jacket for drying and a high torque/low speed agitator drive with anticlockwise and clockwise rotation for smoothing and ploughing of the cake. 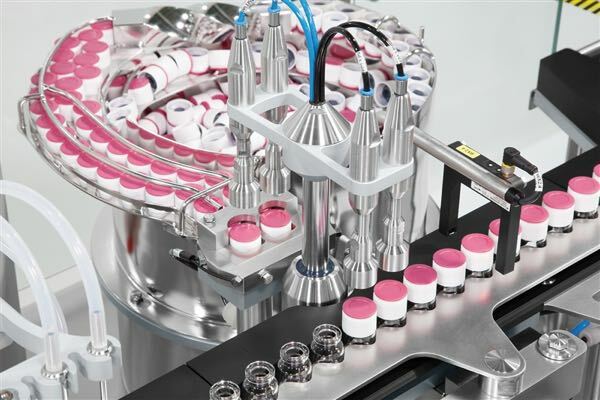 Marchesini will showcase its FSP 05 (pictured left) a filling and stoppering machine developed to meet the increasing production requirements of products classified as pre-filled syringes for nested syringes. Both compact and flexible, the unit has been designed to produce up to 12,000 pieces/h. Marchesini says the FSP 05 machine avails of exclusive systems during syringe handling, filling and stoppering phases, which optimise centering, thus safeguarding the syringe tubes against the risk of breakage or damage. 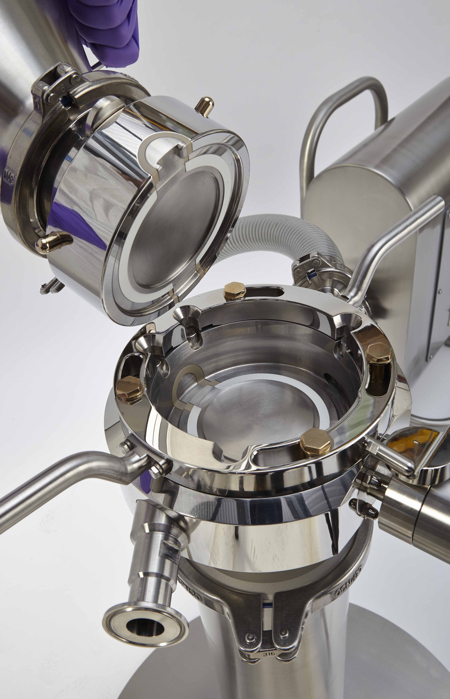 ChargePoint Technology, the powder containment and aseptic transfer valves specialist, will showcase its PharmaSafe range, a powder containment valve that offers the highest levels of validated containment performance for HPAPIs, enabling the safe handling of these ingredients, the company says. 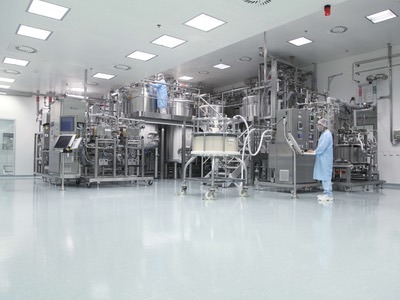 Its AseptiSafe range of aseptic transfer valves offer improved sterility assurance in the aseptic processing of sterile APIs and final powder product. ChargePoint’s range of valves now include VERIFi, the smart monitoring hub, giving the customer the power to control risk and improve productivity as part of their ChargePoint transfer system. The VERIFi hub continuously records usage data and delivers alerts to maintenance teams allowing proactive maintenance decisions and resulting in less downtime and improved productivity. Sponsored by Parenteral Drug Association (PDA), Interphex 2018 comprises the exhibition, technical conference, exhibits, demonstrations, workshops, partnering opportunities, and networking events.